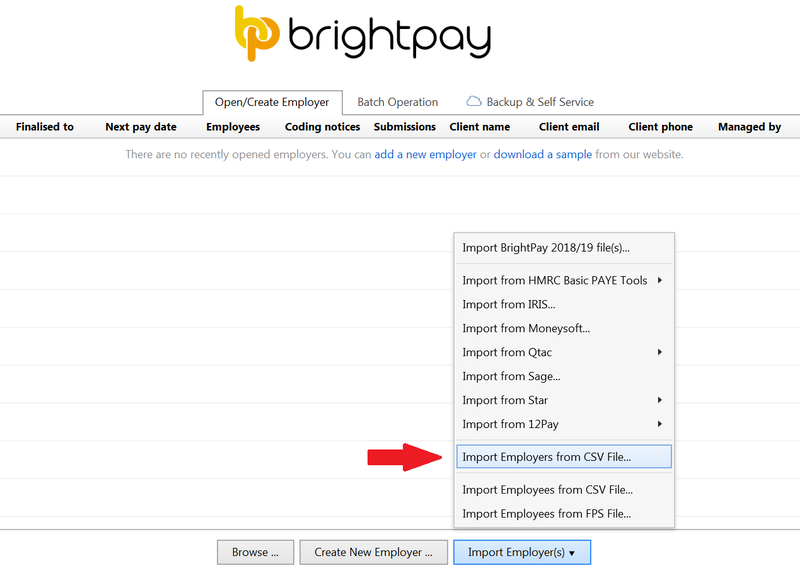 Clients moving to BrightPay from another payroll software can import all employers into BrightPay using a CSV file. 3) The employer information will be displayed on screen. For each column, choose the data it represents. Ignore any columns and uncheck any rows you do not wish to be imported. To assist with column selection, simply select 'Match Header Row'. BrightPay will try and match as many columns as it can for you. Please note: should you have more than one employer CSV file to import simply instruct BrightPay to 'Remember Columns'. BrightPay will subsequently remember the column selection used in the previous import when next importing a new employer CSV file. Alternatively, should you wish to reset your column selection, select 'Reset All Columns'.